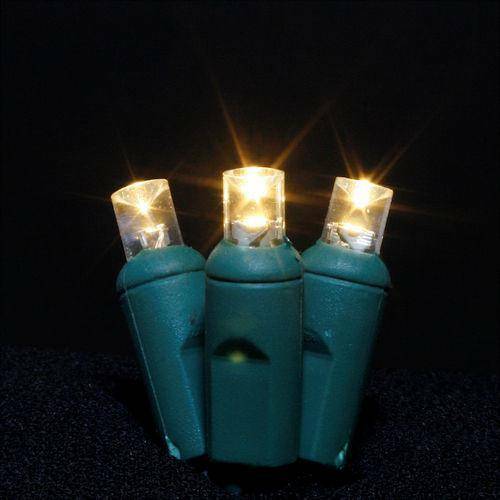 These green wire LED Polka Dot Light Stings (aka wide angle, concave, conicals or 5mm) are a great LED alternative for the traditional Christmas tree minilight. These light strings are also popular for weddings and home/ patio decor lighting. These strings are highly versatile in their indoor and outdoor applications with installations ranging from tree wrapping to indoor light curtains. The 100LT Polka-Dots are perfect for long linear length displays.